As issue around good governance in Nigeria continue to dominate political space, the Engage Citizen Pillar of Partnership to Engage, Reform and Learn (ECP-PERL) on Tuesday held a one-day reflection meeting on action points jointly developed to ensure improved service delivery in Kaduna State. PERL is DFID governance programme funded by UKAID promoting good governance by way of educating and engaging citizens with a view to bridge the existing gap between citizens and political representatives. 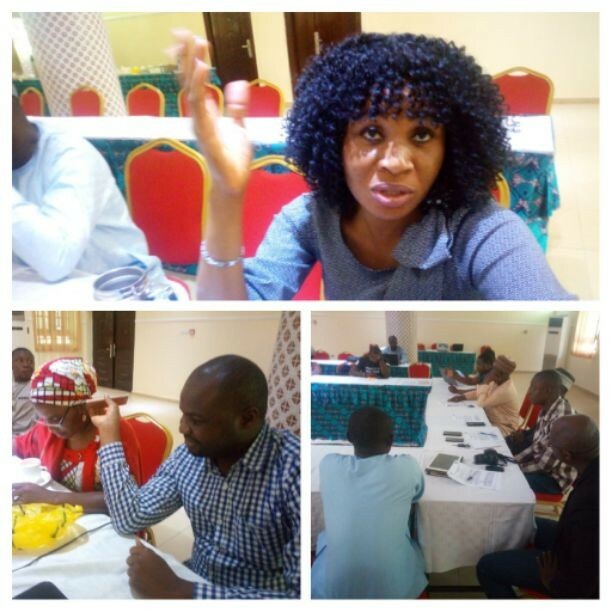 The reflection meeting became necessary to measure the level of media engagements with issues and players as they affect or influence good governance in the State. The objectives of the meeting include but not limited to broaden media engagement and debate on service delivery issues, state plans, policies and budgets for service delivery improvement as well as to ensure media stations/outfits are proactively engaging the electoral process/cycle. Speaking on behalf of the ECP-PERL, Istifanus Akau, urged the media practitioners to integrate social media into traditional media to keep the conversation ongoing even after live programmes especially, for those on electronic media. Akau further encouraged journalists to make effective use of social media, use of hashtags, to reduce the menace of fake news which is currently dominating the country’s cyber space. Journalists, according to him, must keep following to ensure that, campaign promises are implemented. This he believed, will make political representatives accountable to his people and check incompetent politicians. The meeting was well attended by media executives, programme producers, editors and reporters from print, electronic and new media.